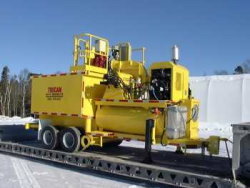 The Trecan 40-PD and 40-PG is an excellent choice for small snow contractors, condominiums, apartment buildings, small airports, universities, parking lots, strip malls and shopping plazas. 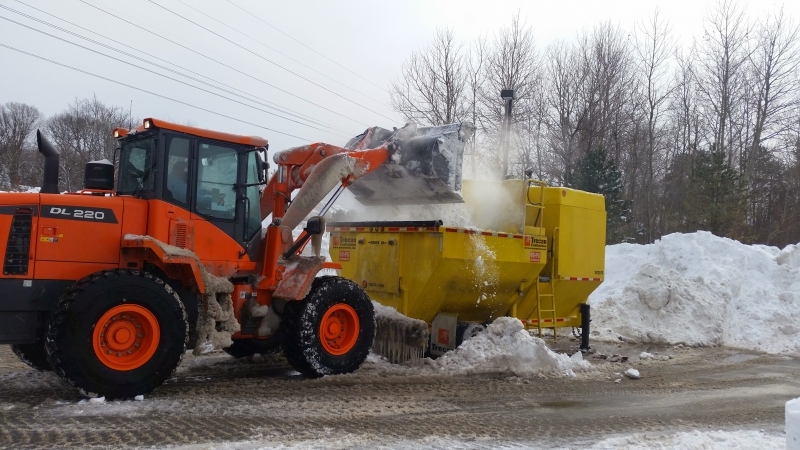 With a capacity of 40 tons per hour, it can be loaded with a Bob Cat, Skid Steer or backhoe as its 9 Million BTU / hr burner can melt 100 to 200 cubic yards of snow with an average snow density of 15 to 30 lbs per/ft. per hour.